Ms. Barcenas earned her Juris Doctor and Certificate in Advocacy from Loyola University Chicago School of Law in 2018, where she was the Student Director for the Loyola Life After Innocence legal clinic. She graduated from Boston University in 2014 with a Bachelor of Arts in Political Science and Philosophy. 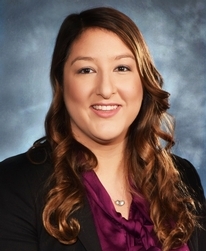 Ms. Barcenas was admitted to the Illinois bar in 2018. Ms. Barcenas was admitted to the Northern District of Illinois in December, 2018. Alejandra is a litigation associate at Lipe Lyons who focuses her practice on the defense of commercial, construction, premises liability, and transportation claims. Prior to joining Lipe Lyons, Ms. Barcenas became a certified mediator with the Chicago Center for Conflict Resolution in 2017 and thereafter mediated several court-mandated mediations in both English and Spanish for cases pending in the Circuit Court of Cook County. Ms. Barcenas also worked for a Chicago-based litigation law firm where she gained extensive experience in the areas of property insurance subrogation litigation, insurance coverage and defense, business and commercial litigation, personal injury, and resolving disputes through court-mandated mediation and arbitration, and inter-company arbitration. Ms. Barcenas has worked on cases in both State and Federal Courts located in a number of States including Illinois, Indiana, Michigan and Missouri.